The versatile hand held portable bag closer is the perfect solution for small volume bagging applications (250 – 300 bags/hour). The durable portable will handle your most demanding bag-closing jobs safely and efficiently. Our advanced design and standard features such as automatic lubrication and extended wear bushings make this the most reliable portable bag closer in the market. This fast, heavy-duty hand-held closer works with virtually all bag substrates including paper (single/multi-wall), woven polypropylene, laminated woven polypropylene, net, PE , burlap and cotton bags. 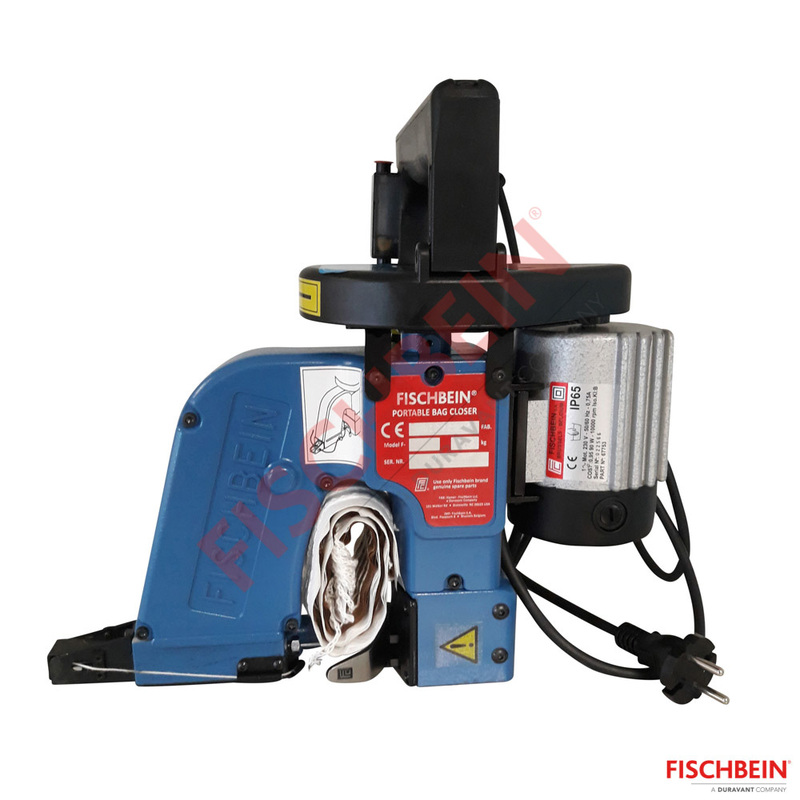 Fischbein’ hand held portable bag closers are available in several models that include plain and tape sew applications.